The Simon XTi wireless security system features a 3.5 inch LCD touch screen interface for ease of use, at an attractive price. Built in voice prompts and menus, make it easy to use for home or business security. It can notify the owner of an alarm by calling a landline or cellular phone using voice alerts or it can be professionally monitored. 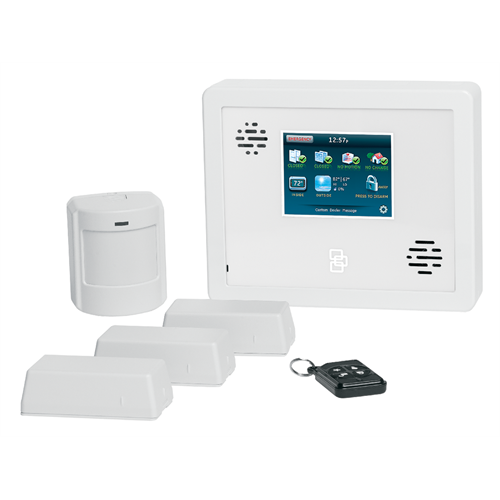 Expandable to 40 wireless sensors, this kit includes 3 wireless door/window sensors, a wireless pet immune motion detector and a wireless keyfob. You can easily add additional GE wireless sensors or a secondary talking keypad. Note: Simon XTI used to have a gray face and now has been updated to all white.